~ 5 in 1 Golf Multi-Function Cleaning Brush will be a great gift for golfers of any skill level. • Made of high quality plastic, quite durable and can be used for a long time. 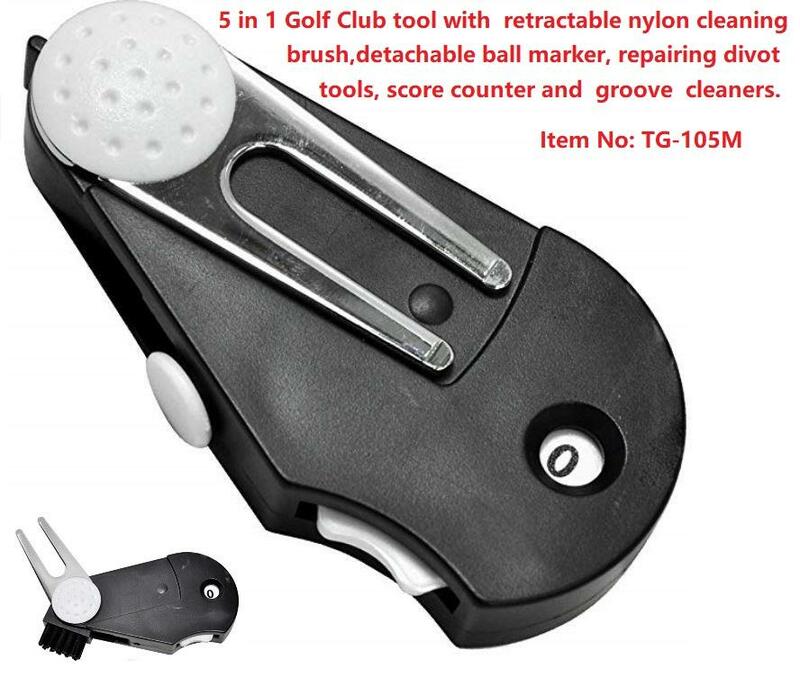 • This lightweight 5-in-1 Golf tool has the multifunctions,such as retractable nylon cleaning brush, detachable ball marker, repairing divot tools, score counter and groove cleaners. • This Multi-functional Golf tool can be easily clipped to your waist,carried in your pocket or stored in your golf bag. • Tiny size but strongly practical, both equipment cleaner and nailing tool.